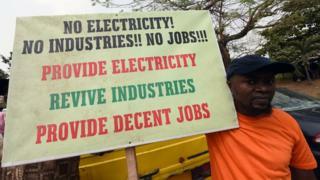 Russia has signed a deal to build two nuclear power plants in Nigeria, as Africa's largest economy seeks to end its energy crisis. The deal's exact worth is unknown, although some reports suggest it is likely in the region of $20bn (£15bn). Nigeria hopes the plants, which will initially be operated by Rosatom before they are handed over, will help deal with the country's energy deficit. Nigeria is one of Africa's largest oil producers, but much of its oil wealth has been squandered over the years.